The NYC-based Nintendo World store will host a launch event Friday night for the next Pokemon games in the series. Those of us picking up Pokemon X and Y might have some problems with social interaction for some time while we're absorbed in the game, but anyone in New York City can party with other Pokemon fans before the game's release. Nintendo World in New York City is hosting a special event this Friday, Oct. 11 beginning at 8 p.m. Attendees can play demo versions of Pokemon X and Y, win giveaways, and take pictures in a photobooth with a costumed Pikachu and inflatabales of X and Y's legendary Pokemon Xerneas and Yveltal. And for cosplayers, Nintendo World will have a stage showcase for anyone dressed up as Pokemon characters. The event ends at 1 a.m., but the store will remain open throughout the night to accommodate all attendees who have been waiting in line to purchase X and Y. Also available for purchase will be the Nintendo 2DS, which launches the same day as the new Pokemon games. 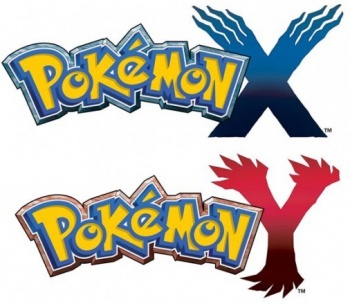 Pokemon X and Y is the series' first step into 3D. The new generation has added the fairy-type, mega evolutions, sky battles, horde encounters, and player customization. It's also drawing on nostalgia by offering a second starter, one of the three original starters who you now receive from the professor in X and Y. Nintendo is also offering an online transfer and storage service called Pokemon Bank at $5 a year, but it will not be available until Dec. 27.